Ok, so this has gotten off-track. It's Friday. We should all be excited about that. And we've got a set of bite-sized stories to share with you. So there. Today's batch of stories includes: 28mm Dwarf Figures Up On Kickstarter, Rise of the Kage is shipping now, Acheson Creations Releases the Final Kajiu Kaos Fantasy Worlds Kickstarter pieces, BitCrates: Boxes That Will Change Your Gaming Table For Any Game, New Skimmers and Crews at 15mm.co.uk, First Look at the Pudigroan Dog Line and Casualty sculpts for Flintloque, LaserCutCard New Product: Na-To chassis, New Legionary Power Gloves from Kromlech, and Ion Age: Taranis Tanks by Bob Naismith first parts and render. For the initial Kickstarter we are starting with 37 miniatures. so we also created a fantastic array of stretch goal characters that we hope to unlock with your help. and we trying to get that sense of personality across in the sculpts. All the miniatures are being sculpted to be suitable for 28mm scale gaming. Rise of the Kage has made its way through customs and is now shipping to individuals around the world. Here is a look at what the retail box looks like. Acheson Creations is pleased to release its final Fantasy Worlds Kickstarter Releases. Sculpted by Cline A. Siegenthaler, these three beasties mean that all Fantasy Worlds Kaiju Kaos release is now available to the public. A giant ape who lords over all the other creatures of Kaos Island. Born of the Rift, Kongo possesses semi-human intelligence and great physical strength utilized in self-preservation. Since his discovery, humans and creatures alike have hunted the giant apes for sport and food. When the Beng-Arii Syndicate built a base on Kaos Island, Kongo retreated deeper into the prehistoric wilderness. 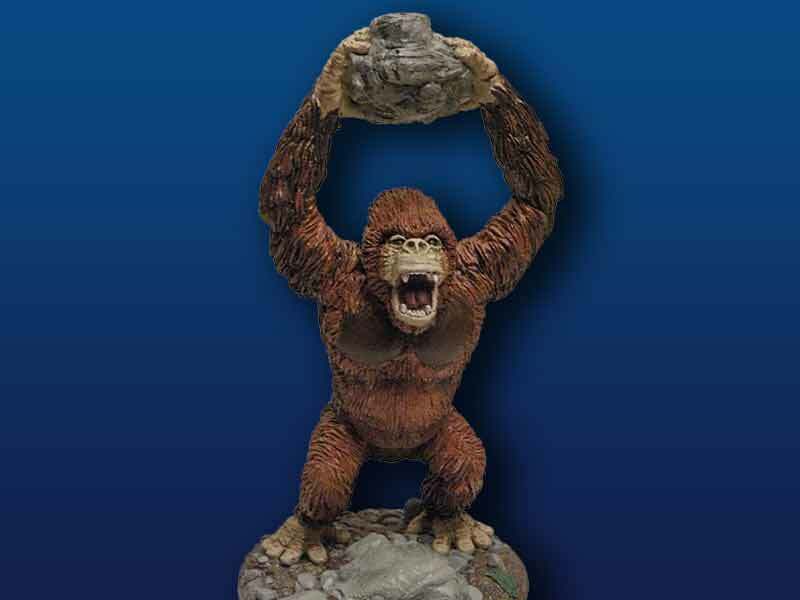 Kongo has a 4” base and is 7.5” tall (base to boulder). The ape is cast as a single piece with a separate base. The origin of the colossal "space germ" code named Oriomnizoa the Pestilence Monster by SMF scientists is unknown. What is known. however is that the creature, and others like it, first appeared in late 2013 and is incredibly difficult to destroy. Immobile, Oriomnizoa waits for its prey to come near and then grabs with its agile tentacles. Another nickname for Oriomnizoa is "Hellmouth". Oriomnizoa has a 6” base with tentacles that reach about 3" above its gnarly maw. 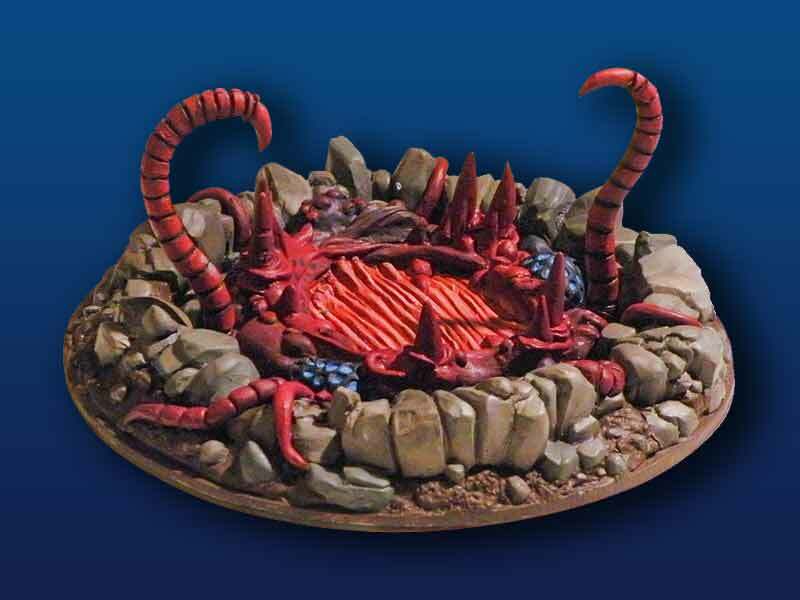 The base of the creature is cast as one piece with two separate tentacles requiring attachment. Ragnarokk is the leader of the Rokk Monsters. The Rokk Monsters are member of the Everfolk. Ragnarokk takes his responsibility as a leader very seriously and often leads the charge against anyone or anything threatening the ecology of planet Earth. Ragnarokk was the first of his kind to fight alongside Special Mission Force when the humans encountered the vile Forces of Decay. 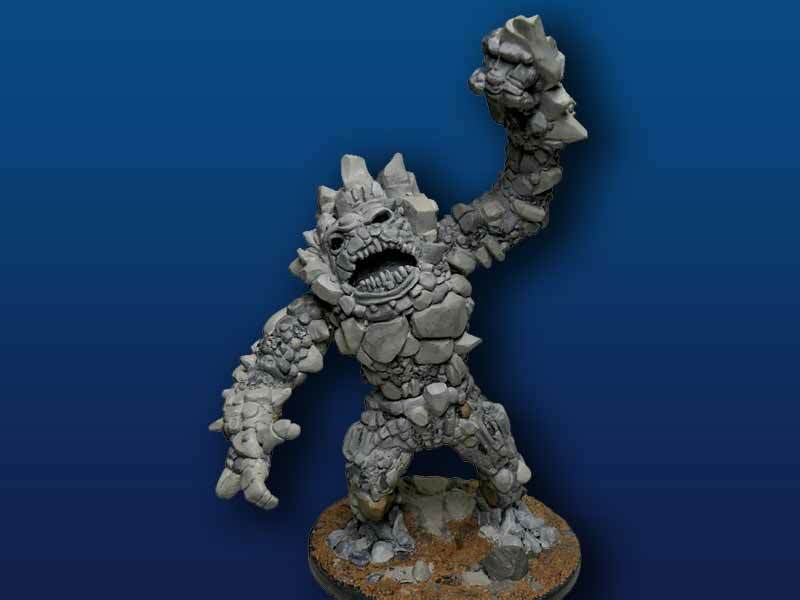 Ragnarokk has a 5” integral base and stands 8” tall (base to top of head). Ragnarokk comes in 4 large pieces and requires assembly. 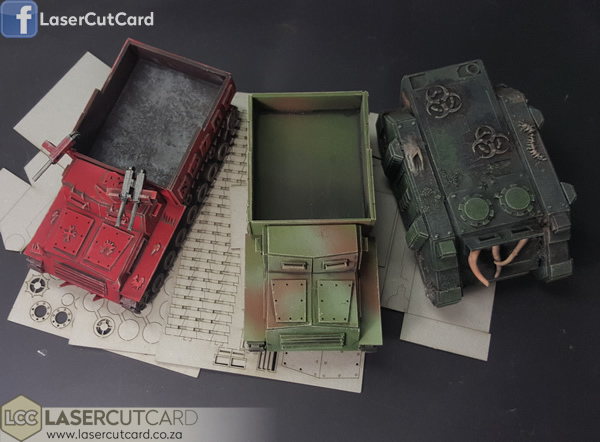 Those of us at Acheson Creations and Two Hour Wargames thank all who funded our KickStarter which allowed us to get these pieces completed and into your hands. Components (aka Bits) have become a huge part of modern board game play. 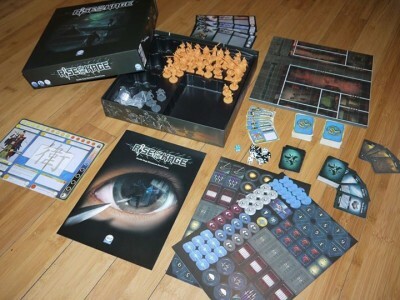 Each game though pose the same question -- how do you fit all these components on the table? BitCrates were built to answer just that. 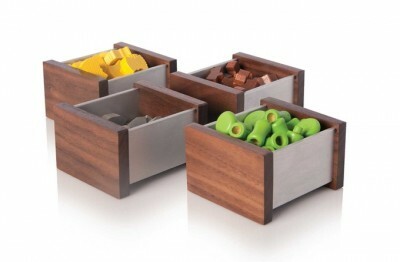 BitCrates are a carefully designed, handcrafted set of boxes made from hardwood and aluminum. 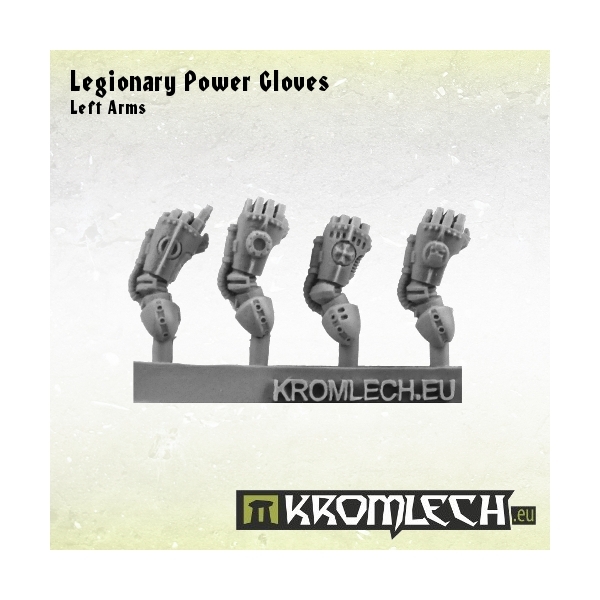 They are meant to help contain, pass and save space on your gaming table while playing the board game. 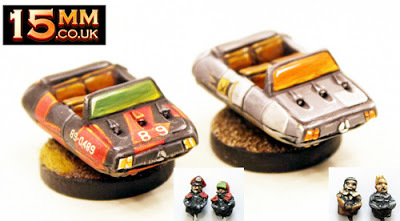 Two new packs in the HOF 15mm science fiction range. Skimmers with different drivers and passengers for SFA and for Rim Mercs. Excellent! Each pack contains two skimmers and four upper bodies. 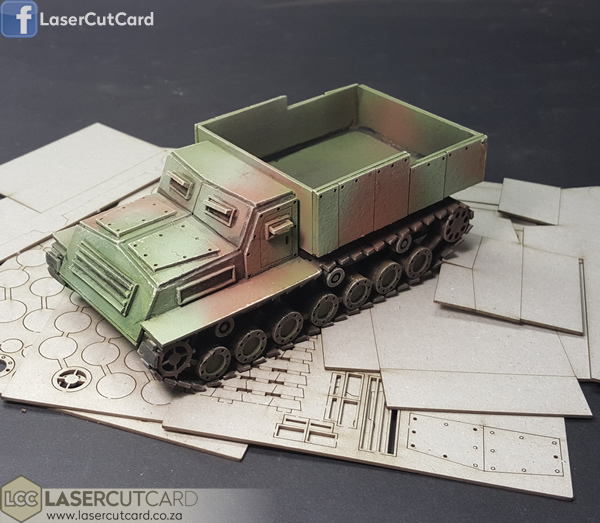 We have also taken 15% off the ENTIRE Security Force Alpha (SFA) part of the range; that is more than 50 poses as well as vehicles. Click through for more information. Thanks. Coming end of this month for Flintloque the start of a brand new army. 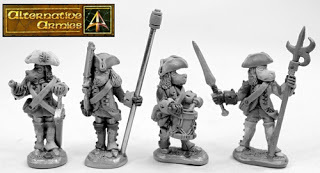 The ruined kindgom of Pudigrochumsberg which will feature infantry, cavalry, command, artillery, characters and more begins today with a preview of the sculpts by Sam Croes for the Line Infantry and Line Casualties as well. 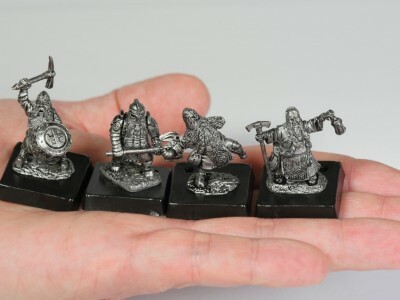 Destined for 28mm scale white metal these great looking black powder fantasy miniatures will make you bark with delight! Thanks for Reading. The Na-To was a late addition to the WW2 arsenal of the Empire Of Japan. It was intended as the carrier for the Type 5 anti-tank gun and was meant for the final defense of the home islands. The war ended before it went into production but we kind of love the ugly little beast and so it is resurrected here as a generic tractor. 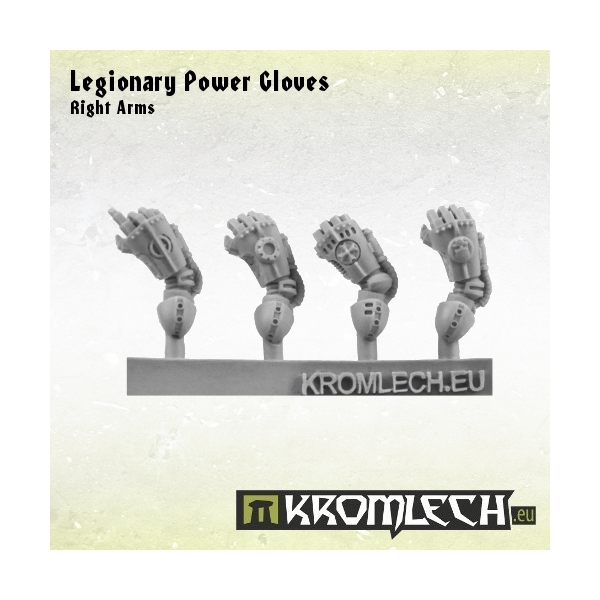 The kit is easy to assemble, and at only $16.95, very good value. It can be upgraded to the “orc” version for $4 more. If you lack heavy weapons then you can approach armoured enemy in melee combat. To be successful you need a proper tool for the job. 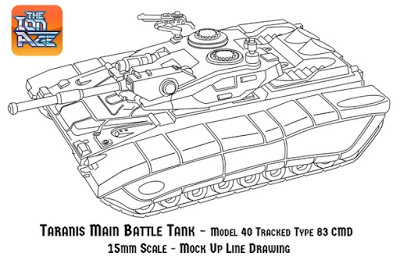 The Ion Age is origination molding the many parts of the 15mm beast the Taranis Main Battle Tank. 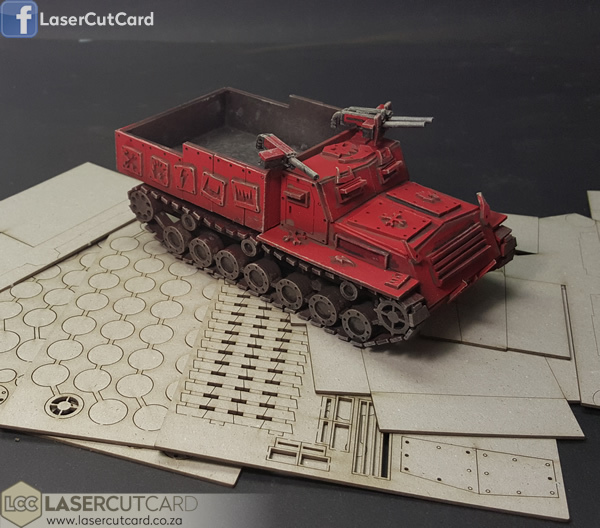 In this article we look at a render and parts both 3D printed and hand sculpted by Bob Naismith as Taranis moves closer to completion and resin reality. Lots to read and see if you click through. Thanks for Reading.